Tuxtla Gutierrez and neighboring San Cristobal de las Casas and Comitan are in the state of Chiapas, a region east of Oaxaca and south of Villahermosa and which is undoubtedly Mexico’s most stunning natural scenic area; mostly wild and rugged, it is rich in indigenous life and culture. 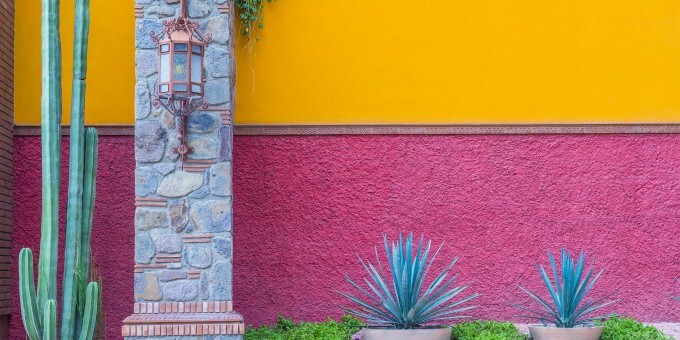 Chiapas’ thickly wooded jungles, mountains and valleys, coupled together with its traditional cultures and indigenous roots have kept its look, feel and style very distinct from the rest of Mexico. Although there are some cities, symbols and events here which reveal the area’s colonial heritage, the people here are still well connected with their indigenous roots and life in many parts of the state continues to be lived according to custom and ritual. Many argue that the natural beauty of this area has no parallel in Mexico. Deep green forested valleys; awesome waterfalls and high mountains with deep canyons and gorges; a colossal wealth of flora, fauna and wildlife, and glorious lakes certainly make this area one of Mexico’s most unspoilt and scenically awsome natural habitats. Away from the larger towns, Spanish is a second language as people here have stayed true to their indigenous cultures and tongue. You’ll see a lot of indigenous people going about their everyday life, often wearing their traditional dress. 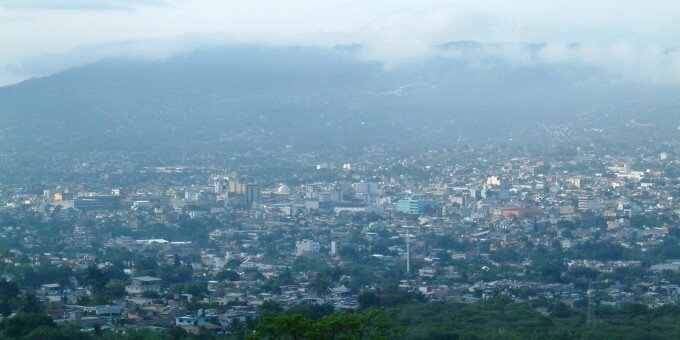 Tuxtla Gutierrez (“Toox-tlah Goo-Tee-Eh-Rehs”) is the capital city of the state of Chiapas. In contrast to the rest of Chiapas, it is a modern, bustling city that is growing very quickly. Tuxtla Gutierrez became the state capital in 1892 and today is the main gateway to Chiapas for visitors, as it offers excellent road and air connections to and from the rest of Mexico. Some travelers looking for the wild, unspoiled and truly indigenous side of Mexico use the capital city as a set-off point only, although in doing so they miss a lot of what the city has to offer. One of Mexico’s finest zoos is based here, and it’s also the best place to get access to the amazing boat trips through the Cañon del Sumidero (see Key Attractions). Don’t miss the coffee! Chiapas is one of Mexico’s (and the world’s) premier coffee growing regions. If you like coffee, make sure you taste some local blends; they are exceptional. Note About Photography: Read the important photography rules and warnings in the Practical Information section below, especially relevant for the local villages surrounding San Cristobal de las Casas. The main attractions downtown are to be found off the Zocalo (main square) also known as the Plaza Civica (Civic Plaza). The Whitewashed Catedral de San Marcos is on the Plaza de San Marcos, adjacent to the main square; northeast of this is the Palacio de Gobierno (Government Palace) the main seat of political and administrative power in the state. The Palacio Municipal (Municipal Buildings) face the cathedral on the north side of the Civic Plaza. The Plaza de San Marcos is often filled with artisans and other ambulant vendors selling arts and crafts made in the highlands of Chiapas. Eight blocks west of the center you’ll find Jardin de la Marimba, where you’ll often find Marimba bands playing every evening in the open air as people take an evening stroll around the park. Parque Madero is about a mile northeast of the center and hosts the Regional Museum of Chiapas (Museo Regional de Chiapas), the city’s principal theatre (Teatro de la Ciudad) as well as a playground and funfair for children at the Parque de Convivencia Infantil. A few miles east of Tuxtla Gutierrez is the spectacular Sumidero Canyon created by the Rio Grijalva. You can read our Complete Guide to the spectacular Sumidero Canyon & its Eco Park now open inside the canyon. Zoologico Miguel Alvarez del Toro is situated on the south side of the city on a wooded hill. Because of Chiapas’ wide natural diversity, this zoo houses a varied collection of wildlife, flora and fauna from the state. The emphasis at this zoo is one of conservation, which is why it takes its name from one of Mexico’s foremost conservationists; the cages are large and the standards for the animals’ welfare are high. Large cats, macaws, toucans, monkeys all native to Chiapas are some of the creatures you’ll see here; for the brave, there is the snake house, which houses a delightful collection of snakes, spiders and other insects you may meet if you plan to venture out into the jungles in Chiapas. Due to its natural diversity, rich, fertile lands and breath-taking topography, Chiapas is, unsurprisingly, one of the principal areas for Eco and Adventure tourism in Mexico. Indeed, Chiapas is one of the best areas in Mexico to enjoy eco and adventure travel and there are various operators who can help you to enjoy a spectacular outdoor travel experience in the region. By Air – You can get to and from Tuxtla Gutierrez from Mexico City, Oaxaca, Villahermosa, Veracruz, Merida and Cancun using the main airport (Aeropuerto Teran), which is about a 5 mile (8 km) drive southwest of town. There is a smaller airport, only used in the summer as its high up in the hills and gets fog-bound in the winter. Taxis are available into town, and car rental desks are situated in the main exit area; book your rental car in advance for better rates. For detailed information about flights and flying, see the Mexperience guide to Air Travel in Mexico. By Bus – Regular long distance buses make the journey from Mexico City to Tuxtla Gutierrez daily; the journey takes 15 hours. Regional buses travel daily and frequently from Villahermosa, Campeche, Merida and Cancun to and from Tuxtla Gutierrez. For detailed information about bus transportation read the Mexperience guide to Bus Travel in Mexico. By Car – There are now fast roads connecting this region to Merida, Cancun, Oaxaca, Mexico City. The drive is a long one from Mexico City, but you’ll be rewarded by some stunning scenery. Most recently, a brand-new toll road links Tuxtla and San Cristobal, which is a quicker alternative to Carretera 190. Most people tend to fly to the region and rent a car locally, which is more sensible unless you have a specific reason for driving to Chiapas. See additional information about Driving in Mexico and Mexico’s Toll Roads on Mexperience. Local Buses – Local buses are available to take you around town and are very inexpensive. Free marimba concerts are given at the Jardin de Marimba at weekends, usually starting around 7pm. Exchanging Currency: Banks with ATM machines can be found in the downtown area of Tuxtla Gutierrez. During business hours, they and the Casas de Cambio will buy traveler’s cheques and cash from you as well. For detailed information about exchanging and managing your money, read the Mexperience guide to Money in Mexico. If you are driving independently in this region, using a rental car or your own vehicle, it’s important to heed some special advice. It’s best to keep off all highways after dark, unless you know them well, have good local knowledge and a good reason to travel at night. The highway from San Cristobal to Palenque (Highway 199) must NOT be traveled on after dark. This road cuts through some extremely remote territory including, in the latter stages, sweltering jungle. The above also applies to Highway 307 between Palenque and Bonampak / Yaxchilan. Most travelers join others and see these places as part of an organized tour; however if you drive there yourself, you should consider joining the convoy of tours which leave early in the morning and get back to Palenque before dusk. Special Note About Photography: The people in this region do not, as a rule, like photographs taken of them and the things they own. In some of the surrounding villages, it is prohibited to take photographs all together, with those who do not comply facing equipment confiscation, fines and even temporary imprisonment. Ask before you take photographs of people and their possessions; you may be asked to pay a small fee for the privilege. See Also: Photography Etiquette in Mexico. La Carreta. Regional cuisine specializing in steaks. Open-air restaurant with entertainment most afternoons. Blvd. Belisario Dominguez 703. (961) 602 5518/5087. Las Pichanchas – Serving authentic comida Chapaneca (traditional dishes from Chiapas). Live marimba music and folk dancers. Try their house cocktail drink of “Pompo“. Av. Central Oriente 837. Tel: (961) 612 5351. As a major center of commerce and politics in Mexico’s southern region, Tuxtla Gutierrez has a good selection of cafes, restaurants, bars and nightclubs that will keep party goers going to the early hours of the morning. Casa de las Artesanias de Chapias (House of Chiapas Artisan Work) about one mile west of the main plaza on Boulevard Dominguez sells arts and crafts made in the region. The local indigenous people are extremely good craftsmen and women; very artistic and creative. You should be on the lookout for hand-made items, ones which are unique and which you will not be able to get elsewhere. The high altitude and mountainous terrain make the climate in this area highly variable. It can get quite warm in the summer and cold in the winter and rain can come at any time. When you pack for Chiapas, pack clothes for all weathers; in the winter months you will need to ensure you pack a stock of warm and waterproof clothes. You will also need to pack sunscreen and a hat to guard against the sun here.